Jose Vilson’s blog is a must read for anyone who follows and cares about public schools in the U.S. It’s a smart take on education policy and politics with a strong focus on the crucial issues of race and poverty. 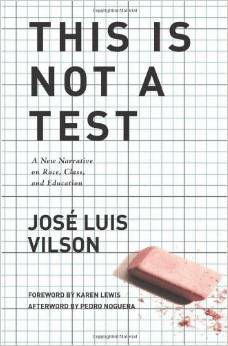 His new book, “This Is Not a Test: A New Narrative on Race, Class and Education,” is even better – an open-hearted account of the joys and frustrations of teaching in an era of polarizing disputes about how to improve schools. With teachers, especially teachers of color, too often voiceless, the book fills a big gap in the conversation. But readers looking for a political tract or a detailed expose of reformist errors won’t find it here. Neither is it a slog through the pros and cons of various education policies. The book is structured as a memoir, grounding Vilson’s perspective in his own experiences. Ritz said the U.S. Department insists Indiana must test students on new “college and career ready” standards in 2015 to keep its waiver from the No Child Left Behind law. The new standards were just adopted by the State Board of Education, so teachers will have only about seven months to teach them before students are tested next spring. 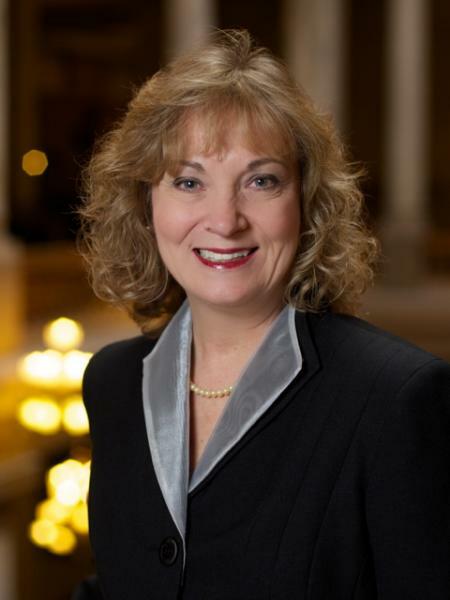 Glenda Ritz (Indiana Department of Education photo). The superintendent said staff at her Department of Education are talking with officials in Gov. Mike Pence’s office about offering more flexibility in test-based school and teacher evaluations until everyone can get up to speed on the new standards. Giving up the NCLB waiver isn’t a good option, she said. Without the waiver, most schools would fail to achieve the 100 percent proficiency for all students required by the law. That means they would lose control of spending decisions for 20 percent of the federal dollars they receive. Ritz said she’s pleased with the work of a state Accountability System Review Panel, which includes 13 educators among its 17 members and was charged with creating new criteria for Indiana’s A-to-F school grading system. “I’m all about a fair, transparent, strong accountability system,” she said. Ritz said she doesn’t like using letter grades to label schools, but the grades are now required by state law. She worries, however, that a diploma from a high school that gets an F from the state will be worth less to employers than a degree from an A school. It’s been 19 months since Glenda Ritz upset Indiana Superintendent of Public Instruction Tony Bennett, but some people are still struggling to make sense of the election. One tempting explanation: Voters punished Bennett for supporting the Common Core State Standards. From there, it’s a short step to imagining a campaign that didn’t happen. In fact, that didn’t happen at all. I wasn’t involved in Ritz’s campaign, but I paid pretty close attention. I don’t recall her raising Common Core as an issue, much less running “largely on an anti-CCSS platform.” But I don’t entirely trust my memory, so I reached out to people who were involved in the campaign, to the organization Republicans for Glenda Ritz, even to someone who is close to Bennett. They all agreed that Common Core wasn’t a point of emphasis for Ritz or much of a factor in the election. Trish Whitcomb, Ritz’s campaign manager, said Ritz didn’t campaign against Common Core. The topic would occasionally come up at campaign events or on social media, she said; and Ritz would say Indiana had rushed to adopt CCSS in 2010 without much input and it would be appropriate to take another look.